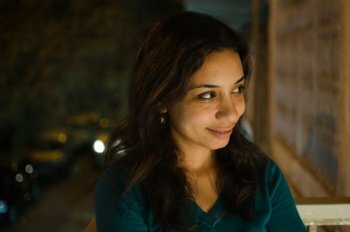 An Egyptian independent filmmaker who was born in Alexandria in 1986. She studied English Literature in Alexandria University and independent filmmaking in the Jesuits cultural center’s workshop in Alexandria in 2009/2010. She had a Fulbright scholarship in the University of Saint Thomas in USA in 2010/2011. Her love for filmmaking and theatre made her participate in several theatrical activities and workshops. In 2013 she made her first feature film « The Mice Room » which was premiered in Dubai International film festival and co-founded Rufy’s ; an independent film house and a self funded initiative that helps independent filmmakers in Alexandria.